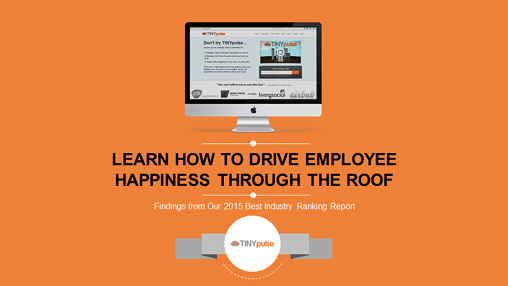 The Key Features Driving Employee Happiness (And Unhappiness). Our 2015 Industry Ranking Report uncovered startling findings about which were the happiest and unhappiest industries around. No matter what industry you're in, you'll walk away with tangible to-do's that can drive material benefits to your workplace in no time. Click below to register through GoToWebinar and view this free webinar. Want more great resources? Subscribe to TINYinstitute updates!